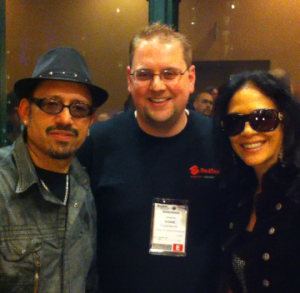 A couple of weeks ago, I was able to attend The NAMM Show for the second time. 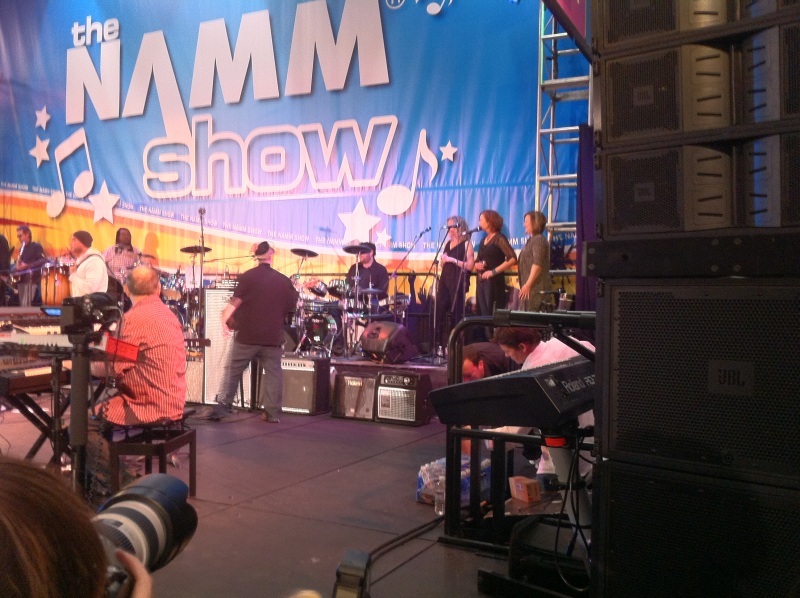 For those who don’t know, The NAMM Show is the annual event that brings together all of the music equipment manufacturers, the retailers who sell them, and many musicians. This is where most major new product releases occur and also serves as an industry reunion. The biggest part of the show is the exhibit floor, which fills most of the 800,000 square foot Anaheim Convention Center. This a great place to get hands on with more music gear than you can find anywhere else. You also have direct access to people who know the gear much better than your average Guitar Center salesman. Since this is a music convention, of course there are concerts around every corner. The first one I attended was the second annual NAMM Night of Worship, which had everything from modern worship musicians like Tommy Walker, to former pop star and still excellent percussionist Sheila E, to Christian Pop/Soul band Newworldson (who I had not heard of before, but impressed me with their technical ability and showmanship). We also checked out the Band From TV; Greg Grunberg’s (Heroes, Alias) side project with a number of other TV stars including Jesse Spencer (House), Adrian Pasdar (Heroes), Bob Guiney (The Batchelor), and Scott Grimes (American Dad, ER). Hugh Laurie (Dr. House, himself) normally plays with them, but couldn’t make it to this show. The band is actually pretty good and could probably do quite well even without their celebrity. This year had a number of great new percussion technologies that look really exciting (my primary instruments are drums and percussion). The biggest of these were the new Zildjian Gen16 Acoustic/Electric cymbals. These are a radical new design that has thousands of holes and are made from a special alloy that reduce their volume by 75-80%. They then use a pickup system that sits under the cymbals which is routed through a DSP to make them sound more like a traditional cymbal. All in all, it was a great trip and I look forward to going back in the future. 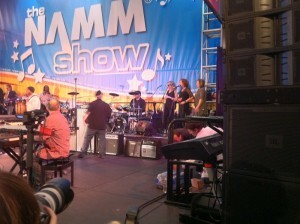 The NAMM Show is always full of innovation and great music and will continue to do so in the future. If I get time, I’ll try to put up some more detailed product reviews from the show.